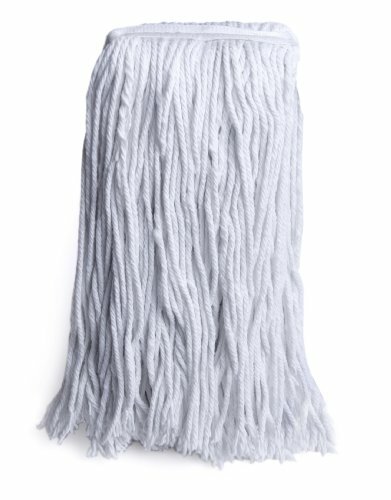 Rayon blend disposable mop heads in 12, 16 and 24 oz. Disposable mop head is made from DuPont’s nonwoven Sontara material that outlasts and outperforms standard cotton and rayon mops. Hy-Sorb mop holds seven times its weight in liquid and needs no break-in period. 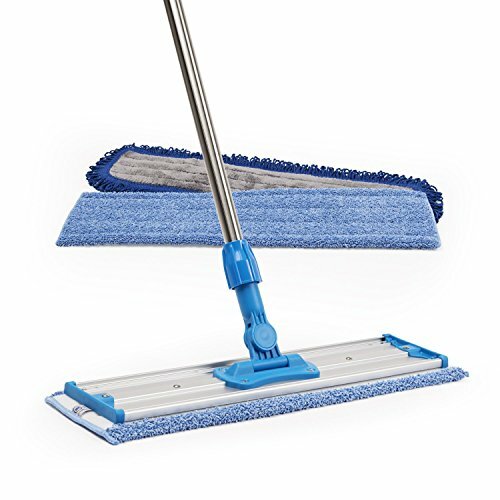 Lightweight mop head is nonlinting, mildew-resistant and fast-drying, and fits any professional stirrup-style style or jaw-style handle. 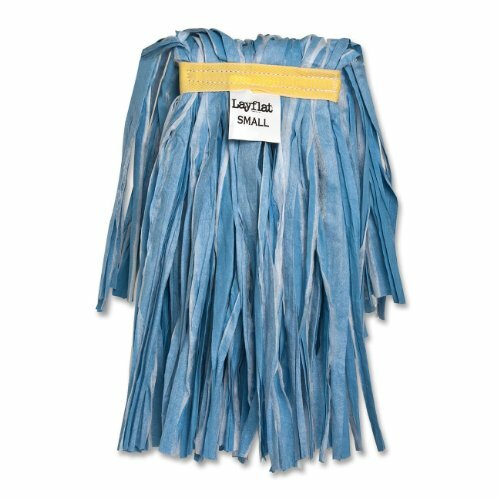 Mop head is made with a high percentage of recycled material. 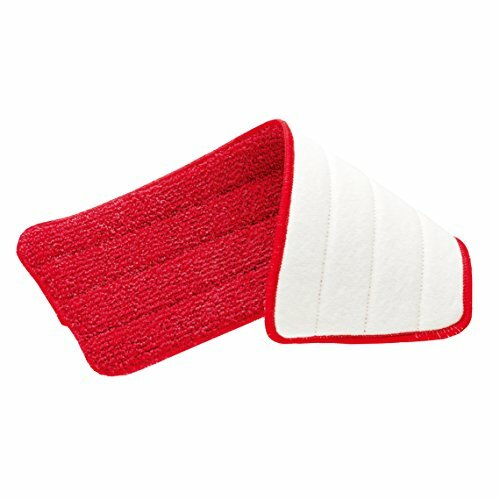 The Rubbermaid 1M19 Reveal Mop Cleaning Pad is a replacement/additional a microfiber mop pad for the Rubbermaid Reveal Mop that is extremely durable and reusable which helps you save money and waste less. 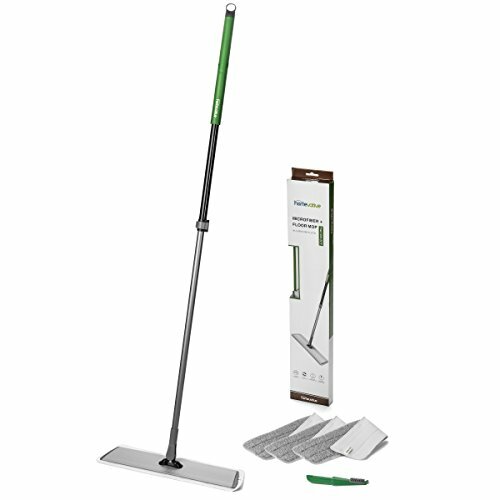 The pad connects to the bottom of the mop with a hook and loop system for easy on and off action. No more throwing away disposable mop pads, just simply wash and reuse. The Mop pad can be washed up to 100 Times. The wide, thick microfiber pad reaches deep into cracks and crevices to pick up 50-Percent more dirt than traditional sponge mops. The microfiber pad doesn't just get floors cleaner; it even helps them dry faster so you can get on with your day. 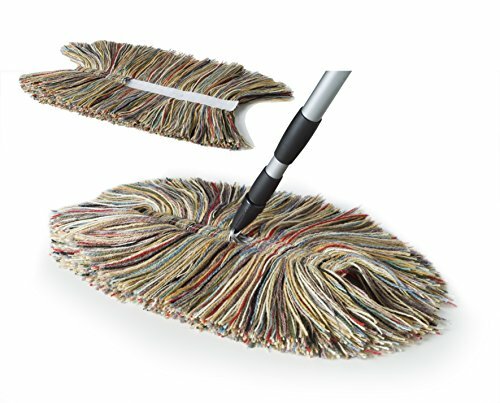 Rubbermaid Commercial 1822352 Disposable Microfiber Mop, 18-Inch, 150 Pads. 99.9% microbe removal to stop the chain of infection, and proven to remove C. diff spores. Streak-free cleaning. 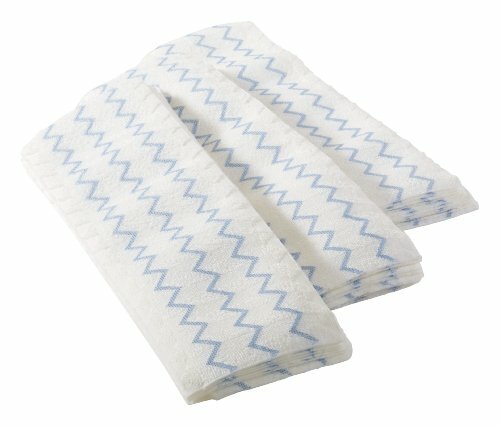 Scrubbing strips built in to effectively remove dirt without smearing. Great on a variety of surfaces. 19.25 inches long by 18.25 inches wide by 4.13 inches high. 6.04 pounds. Made in the USA. Cotton/synthetic yarn with Tie-Free backing provides performance, durability and value. Bulky, absorbent, pre-treated 4-ply yarn collects and retains more dust and will cover over a million square feet before replacement is needed. Split center provides a trap to collect even more dust. Measures 36" length by 5" width. Convenient household-size, multi-colored wool dust mop & replacement head. Made from genuine wool. The BIG WOOLY swivel head provides maneuverability for easy cleaning. The NEW, DURABLE VELCRO® backing allows for quick & easy removal of the dust head from its 12" frame for laundering. Dusting area measures 11" x 18". These are ALL NATURAL PRODUCTS and DO NOT REQUIRE any chemical treatment, nor expensive disposable pads. Replacement heads are also washable and reusable. Items can be purchased separately. The 4-ply cotton/synthetic yarn with polyester backing for performance, durability and value. Split center provides a trap to collect dust and dirt. Available pre-treated with Dust n’ Shine or untreated. Use with Swivel Snap frame and handle. Natural color yarn. Measures 60" length by 5" width. The 4-ply cotton/synthetic yarn with polyester backing for performance, durability and value. Split center provides a trap to collect dust and dirt. Available pre-treated with Dust n’ Shine or untreated. Use with Swivel Snap frame and handle. Natural color yarn. Measures 36" length by 5" width. Copyright © Wholesalion.com 2019 - The Best Prices On Disposable Mop Head Online.